If you’ve invested in a high quality sisal carpet for your home, then you know the heart break one can feel when you see that full glass of Pinot Noir fall head long right in the center of your room. As much as you’re inclined to, don’t reach for the water and soap! Cleaning your sisal carpet improperly can permanently damage the delicate fibers. At Lazarian Carpet we use the patented Host Dry Carpet cleaning method. This revolutionary product not only will thoroughly clean your carpet, but it’s certified green and environmentally friendly. If you live in New York or New Jersey in our service area, give us a call and we’ll gladly give you an estimate for cleaning or removing any stains from your Sisal Carpet. 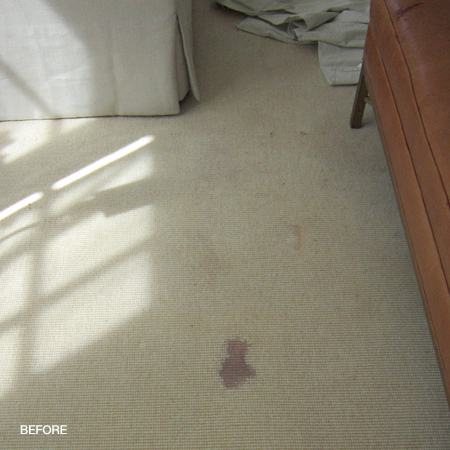 When one of our clients spilled a glass of red wine on her expensive sisal carpets she wasted no time giving us a call. 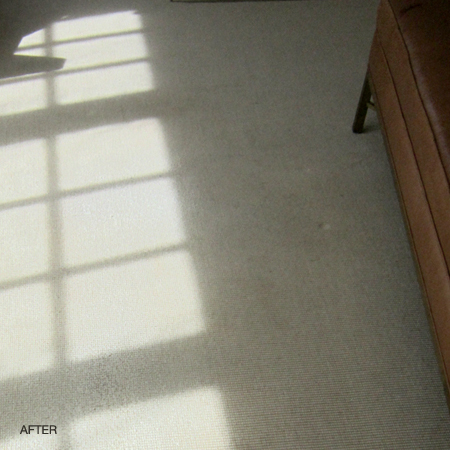 We were able to completely remove the stain without damaging or distressing the delicate fibers.